The next chapter in Magic: The Gathering’s swath of game expansions is returning to the steampunk-ian fan-favourite realm of Ravnica, a land of fancy architecture, intrigue, and equally fancy spellweaving. But it also means some familiar characters are making a return — and we have an exclusive look at one of them! 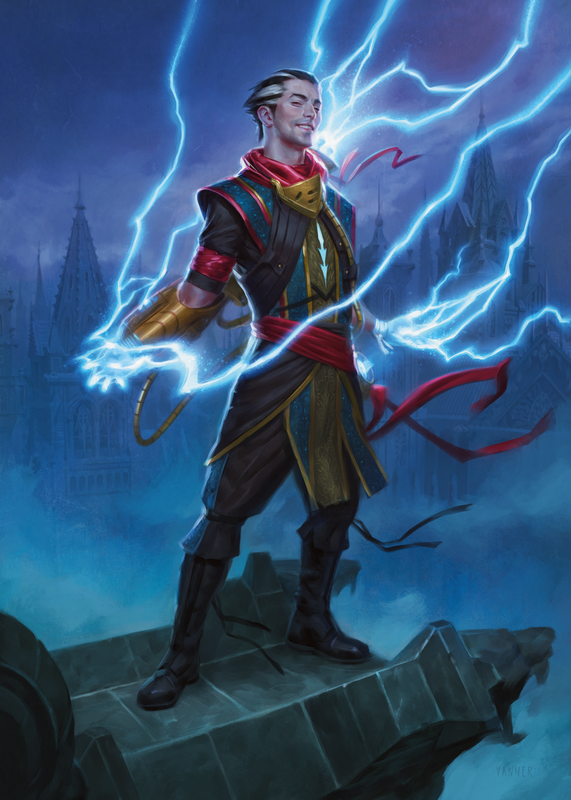 Ral Zarek is an ambitious Izzet guildmage whose mind crackles with the same chaotic brilliance as the electricity he wields. 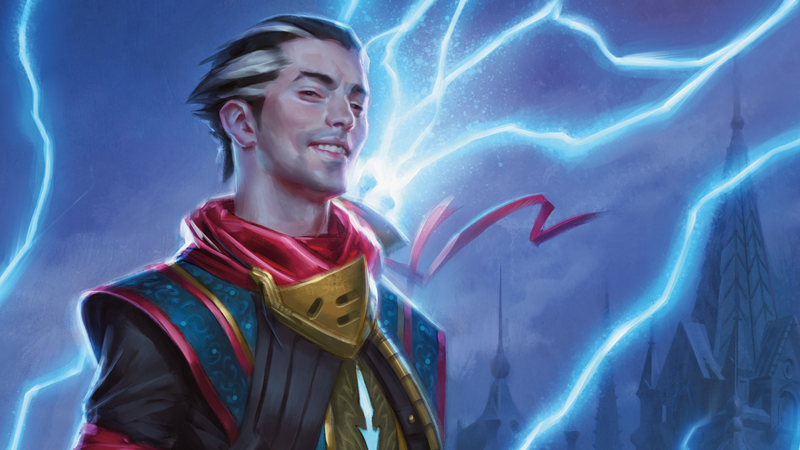 He’s clever enough to hide the fact that he’s a Planeswalker from the genius dragon Niv-Mizzet, even as they work closely together. 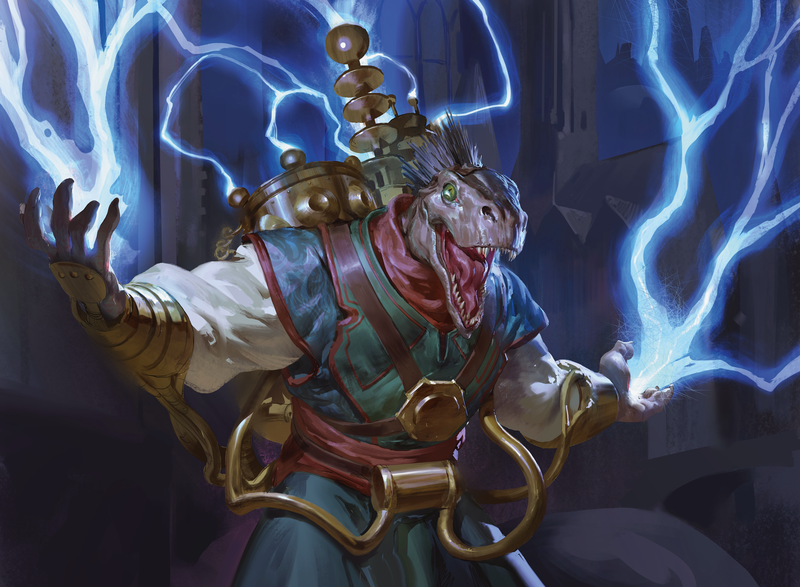 And when a problem demands a more direct solution, he’s also happy to blast it with a bolt of magical lightning. 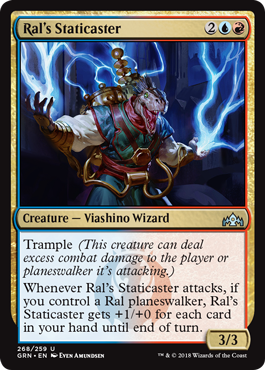 Ral was last seen on the plane of Ravnica, where he was masterminding Project Lightning Bug—an experiment that allowed him to track Planeswalker movement to and from Ravnica. 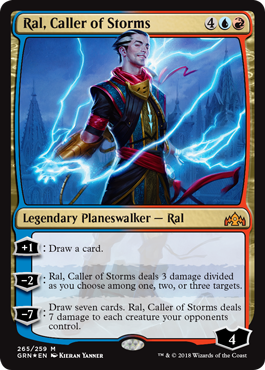 He was working with Jace Beleren while keeping Niv-Mizzet, the Izzet League’s guildmaster, from discovering the outcomes of his work and the truth about Planeswalkers. 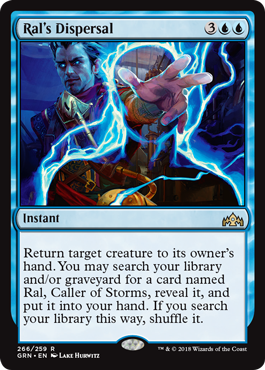 When Jace learned of the villainous Tezzeret’s appearance on Kaladesh, Ral urged him not go, but Jace departed nonetheless. Unbeknownst to Jace, Ral has a yet-to-be-revealed tie to Tezzeret and his master, Nicol Bolas. 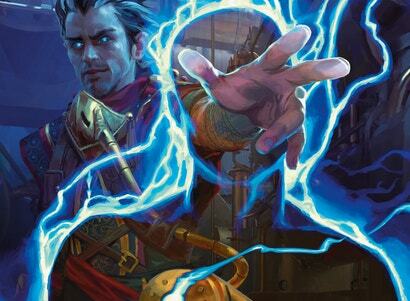 Guilds of Ravnica launches October 5.